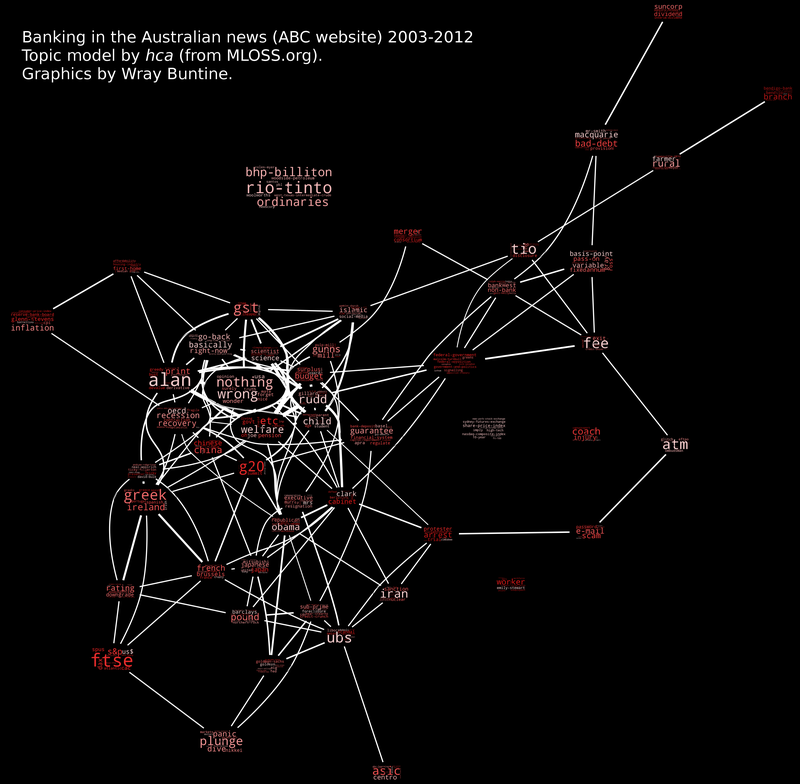 Banking in the Australian news (from ABC website 2003-2012). Banking in the Australian news (from ABC website 2003-2012). Size of tag cloud shows size of topic. Size of words in tag cloud shows proportion of word in topic. Lightness of word color shows importance of word to topic.